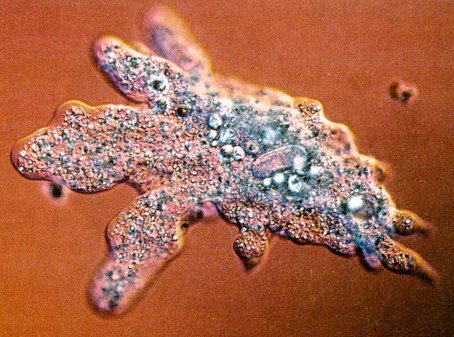 Author John Ortberg talks about a scientific experiment where tiny little amoebas (as opposed to the jumbo-sized amoebas) were put in a controlled environment that was perfectly suited for their survival, in theory. It was the ideal temperature, with the ideal amount of moisture and food. They should have done well. One problem – they all died. When the scientists changed one of the variables in the equation by making the amount of food slightly less, or the temperature slightly higher, etc, guess what happened. The amoebas thrived. Their conclusion was that organisms seem to need a challenge to survive. Enough to think about there alone. But let’s turn a corner. It has often been lamented that humans seem to be infatuated with the negative and with bad news. We cannot get enough news about the latest Hollywood breakup, the swine flu, the tanking economy or the deadly bombing in some middle-eastern country. I find that blog posts of mine that are most read are those that highlight some wrong, some injustice, something that is not the way it should be. Those that I see as more uplifting seem to go largely ignored. My own theory is that blog readers, and consumers of news in general, like the negative precisely because it makes them feel alive. They have something to overcome, even if it is only a mental or emotional exercise. So they gravitate in their hearts and minds toward the negative. Could it be that we do this because dealing with the negative in culture is so much easier than dealing with our own broken and fallen nature? There are all kinds of theological implications here as well. Just think of one of the larger implications in this regard. Could it be that we human animals need a certain degree of evil to exist in order to survive? Could it be that a real honest-to-goodness-Utopia would be the end of us all? Could it be that we need for something to be wrong or something to fight against – not with weapons like those of the purveyors of evil and wrongdoing – but with the weapons of faith, hope and love? Could it be that the best place to start is with ourselves? If this is true, maybe running from the fight is the only way to guarantee that we lose, and running into the fight is the only way to win. Maybe Jesus was right when he said, “If you try to hang on to your life, you will lose it. But if you give up your life for my sake, you will save it." May you be one who always runs into the battle with an irrepressible you in your heart!